Higher-than-currently-recommended caloric levels were safe. Correcting malnutrition in adolescents with anorexia nervosa has a special urgency because of impaired growth, loss of menses, and negative effects on bone health. 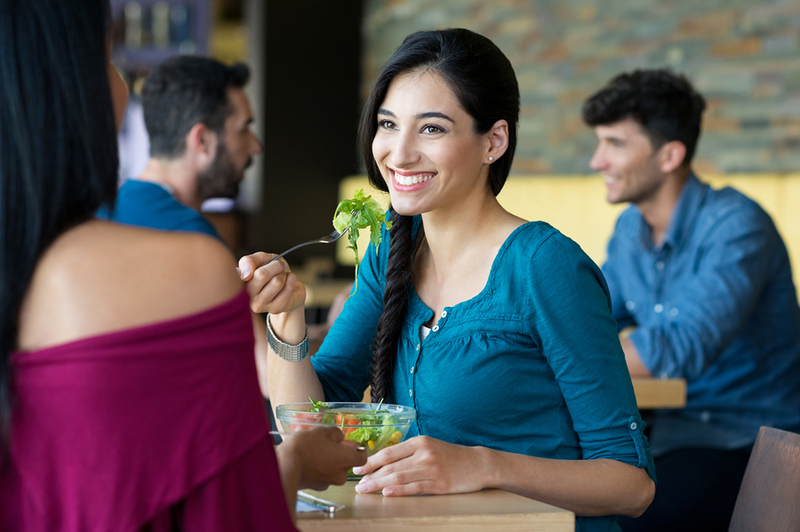 A team of researchers led by nutritionist Elizabeth K. Parker, at the Westmead Hospital, Sydney, Australia, report that higher-caloric refeeding is safe for teens hospitalized with restrictive eating disorders (J Nutr Rehab. 2016; article ID 5168978, published online before print). Some have recommended a conservative average weekly weight gain of 0.5 kg to 1 kg (for example, following the NICE Guidelines). More recently, others have suggested more rapid weight gains, such as 1 kg to 2 kg per week. The reason for the limited rate of weight gain is, of course, to avoid the refeeding syndrome, which can cause fluid and electrolyte shifts. Low serum phosphate levels, in particular, can lead to complications including cardiac failure and death. However, according to the authors, the recommended slow refeeding may also produce an unintended consequence, the “underfeeding syndrome,” among patients with AN. Thus, standard guidelines for ‘starting low and going slow’ may actually put already malnourished patients at risk for further clinical deterioration and longer hospital stays. To study the benefits of higher initial feeding rates, the authors conducted a 3-year retrospective chart review of 247 consecutive patients with restrictive EDs admitted to an adolescent ED unit between January 2011 and December 2013. Patients with bradycardia were monitored on a cardiology ward with continuous telemetry measurements for the first 24 to 48 hours or until their resting heart rate was more than 50 bpm. Some patients admitted with bradycardia received continuous nasogastric (NG) feeding with a 1 kcal/mL formula at 100 mL per hour, to provide 2400 kcal per day while restricting oral ingestion to sips of water for 24 to 48 hours. The rationale for continuous NG feeding was to provide medically unstable patients with a constant, controlled supply of carbohydrates for the first 24 to 48 hours. Before starting nutritional rehabilitation, all patients were given 1 g of a phosphate supplement and a daily multivitamin, and then a minimum of 500 mg phosphate twice a day during the first week of admission, and supplementation was halted if phosphate levels became abnormally elevated. Blood tests, particularly to measure serum phosphate levels, were done prior to starting nasogastric (NG) feeding, 6 hours after starting NG feeding, and then daily for the first week. Once hospitalized, all patients received some type of nutrition support within the first 24 hours, including an oral diet only (7.4%); continuing NG tube feeding (54.3%); or a combination of oral diet and a cyclic overnight NG feeding. Slightly more than half of the patients had bradycardia, and were started on an oral diet with overnight NG feeds. Of 7 patients who developed peripheral edema only1 also developed mild hypomagnesemia; the remaining 6 had normal electrolytes. Once the patients were medically stable, they were treated on an adolescent medical ward, and their NG feeding was decreased to cyclic overnight feeding of 100 mL per hour of a 1 kcal/mL formula over 10 hours. In addition to NG feeds, a meal plan of 1800 kcal was provided during the day, and nursing staff supervised meals. Patients who had not finished the prescribed meal plan were given a nutrition supplement meal replacement. This resulted in a mean caloric intake at admission of 2612 kcal, which rose to 3775 kcal by week 4. Mean weight gain was 2.1 kg per week. Overall, the findings suggest that with adequate patient monitoring and appropriate supplementation rapid weight regain can be achieved without producing the refeeding syndrome. Among the 52 patients who had overnight NG feeding, only 3.8% received medication to relieve anxiety about the feeding tube. Nearly 12% experienced nose bleeds, and 29% reported nasal irritation. A small number of patients, 3.8%, were discharged before they completed their inpatient treatment. The authors concluded that a more rapid refeeding protocol with phosphate supplementation can be safely used for teens with restrictive eating disorders, without producing the refeeding syndrome. Parker and colleagues also suggest that prophylactic phosphate supplementation and careful monitoring of electrolytes be stressed more in the guidelines for preventing refeeding syndrome, rather than restricting caloric intake in this already-malnourished patient population.